On the Indian Ocean coast at the most westerly point of Australia, Shark Bay’s waters, islands and peninsulas covering a large area of some 2.2 million hectares (of which about 70% are marine waters) have a number of exceptional natural features, including one of the largest and most diverse seagrass beds in the world. However, it is for its stromatolites (colonies of microbial mats that form hard, dome-shaped deposits which are said to be the oldest life forms on earth), that the property is most renowned. The property is also famous for its rich marine life including a large population of dugongs and provides a refuge for a number of other globally threatened species. One of the superlative natural phenomena present in this property is its stromatolites, which represent the oldest form of life on Earth and are comparable to living fossils. Shark Bay is also one of the few marine areas in the world dominated by carbonates not associated with reef-building corals. This has led to the development of the Wooramel Seagrass Bank within Shark Bay, one of the largest seagrass meadows in the world with the most seagrass species recorded from one area. These values are supplemented by marine fauna such as dugong, dolphins, sharks, rays, turtles, and fish, which occur in great numbers. 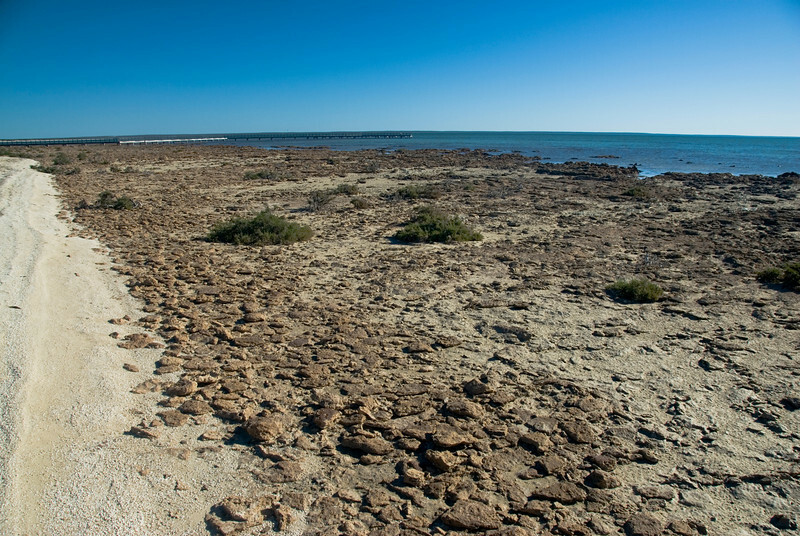 The hydrologic structure of Shark Bay, altered by the formation of the Faure Sill and a high evaporation, has produced a basin where marine waters are hypersaline (almost twice that of seawater) and contributed to extensive beaches consisting entirely of shells. The profusion of peninsulas, islands, and bays create a diversity of landscapes and exceptional coastal scenery. While I was able to visit Kakadu and Purnululu during the right time of year, I probably visited Shark Bay at the wrong time of year. It would have been much better to visit during the Australian summer. Nonetheless, I got to see the one thing I really wanted to see at Shark Bay…..stromatolites! Shark Bay was the first declared UNESCO World Heritage Site in 1991 from Western Australia. 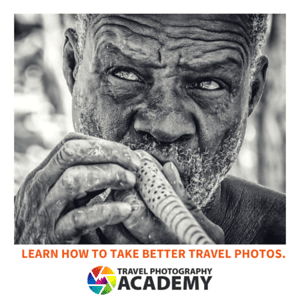 It is one of two UNESCO sites in the state – the other one being Purnululu National Park. Shark Bay is located within Gascoyne region and covers more than 2.2 million hectares of land area. The features within Shark Bay are a testimony to the wonders of the natural world. Hence, it was a no-brainer choice as a Natural site to be enlisted by UNESCO. Shark Bay is located at the westernmost point of the Australian Coast. It also serves as the meeting point of three climatic regions. This explains the diversity of the life form in the region. About 70% of the Shark Bay area consists of marine waters while encompassing many other conservation reserves and protected areas. Some of these protected areas include Hamelin Pool Marine Nature Reserve, Shark Bay Marine Park, Zuytdorp Nature Reserve, Francois Peron National Park, and several other protected islands nearby. A distinctive feature of the flora in the region is that most of the species that thrive here had reached the end of their range. In fact, 25% of the vascular plants that live in Shark Bay have reached their range limit. Aside from being a home to many vascular and plant species, it is also considered a zoological important site. The peninsulas, islands and varied landscapes in Shark Bay are considered as a natural habitat by many endangered mammals in Australia, such as the mouse, western barred bandicoot, rufous hare wallaby, burrowing bettong, and more. Aside from mammals, the rich avifauna landscape in the region sees more than 230 species of bird that live within the area. This accounts for about 35% of the total bird species in Australia! For this reason, the authorities have done their best to preserve the natural features in Shark Bay to facilitate in providing a habitat for these birds, as well as the mammals, reptiles, and amphibians. 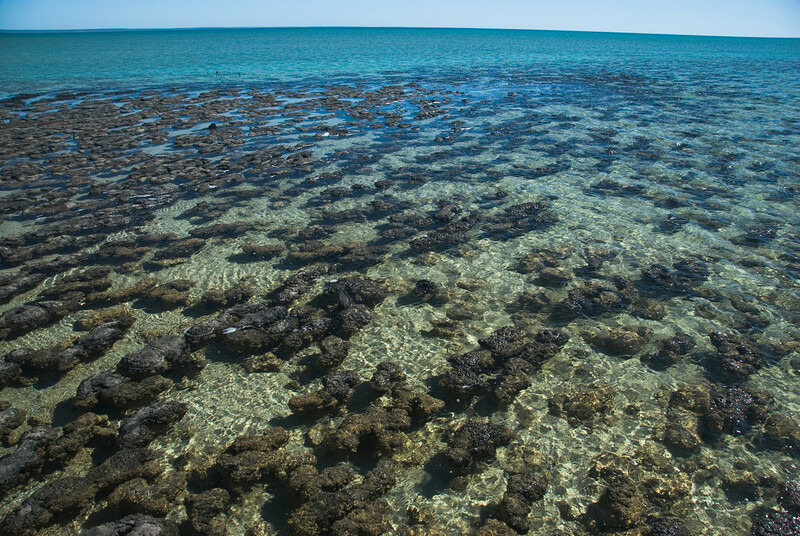 The stromatolites would have to be the most distinctive feature in the Shark Bay area. In fact, a lot of tourists flock here just to see the stromatolites formation in Hamelin Pool Nature Reserve. 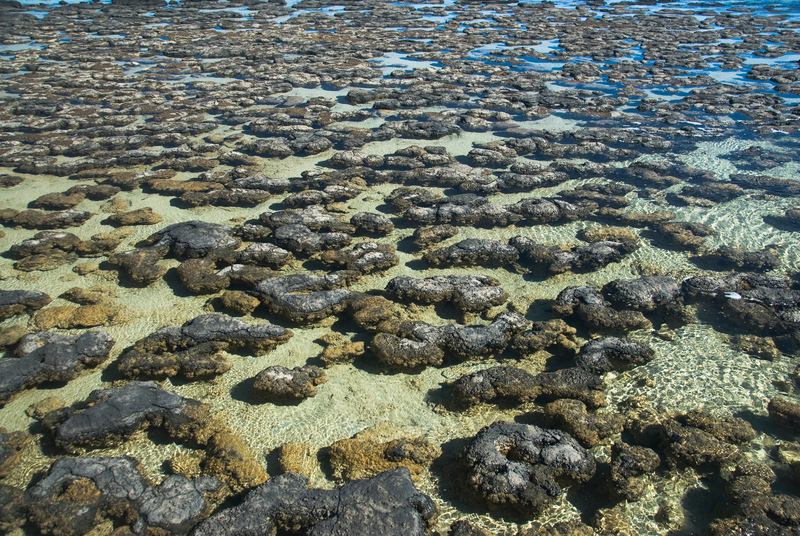 The growth rate of the stromatolites suggests that cyanobacteria have developed over 1,000 years ago. 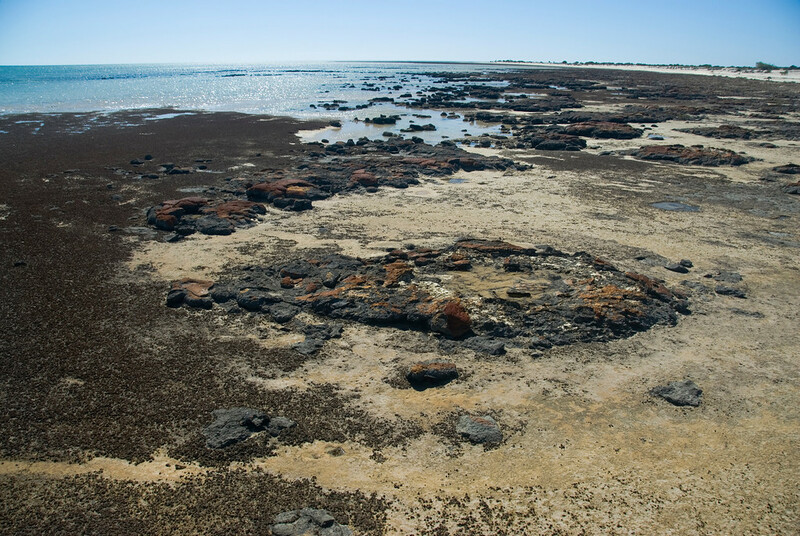 The stromatolites have shown concentrated growth in the southern portion of the bay – Hamelin Pool. These formations are one of the earliest signs of life form on Earth with several fossilized stromatolites estimated to be around 3.5 billion years of age. However, it was not until 1956 when the stromatolites were identified as living species at Hamelin Pool. To visit Shark Bay, you can travel by plane via the Shark Bay Airport. If you are traveling on the road, you must take the World Heritage Drive. It is a 150-km road that links Denham and Overlander Roadhouse. That's another place in Australia I want to visit when/if I return. I feel like it's worth the trip to the west coast just for that.